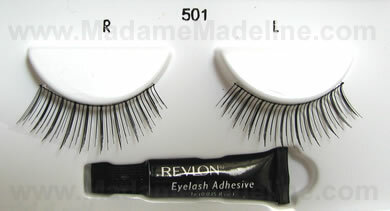 These Revlon false eyelashes 501 are perfect for daytime wear. I own MAC false lashes in Lash 4, they are great, but the style is more for evening. 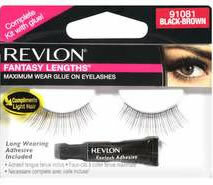 Revlon eyelashes are good quality. I buy these at CVS. If you want to give false eyelashes a try, for the price this would be a good opportunity. The first time i saw my friend wearing false eyelashes it looked so nice,i asked her to put some on me and that was a decade ago. Since then i have been wearing it everyday. When i started wearing the false eyelashes i noticed that it made my eyes look bigger and even the pictures came out really good. Everyone always comments on my eyes saying that my eyelashes are long and how can they do the same.